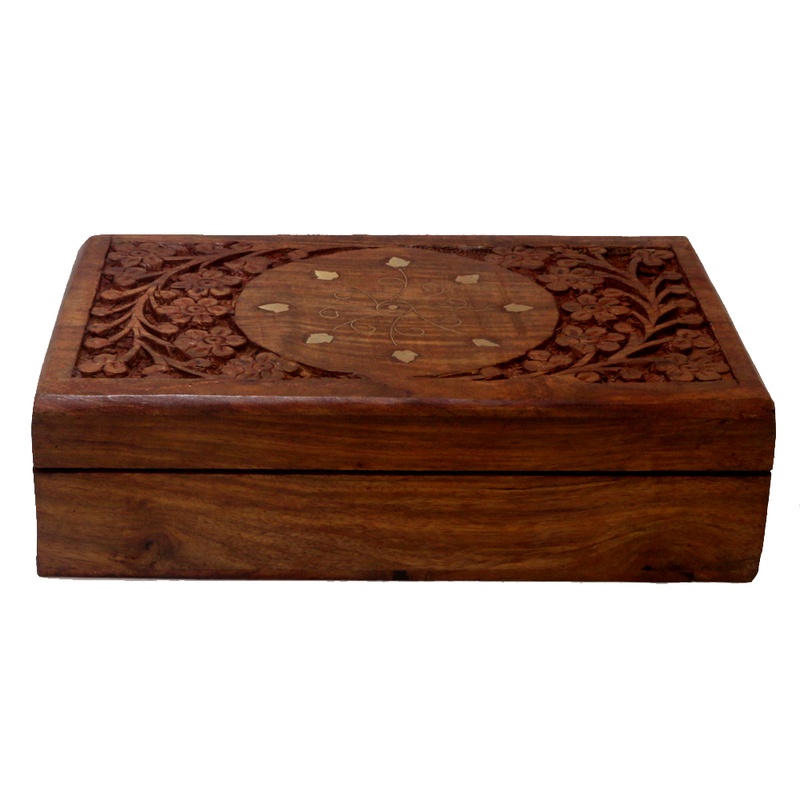 Rectangular shaped box made of finest quality of woods not only aids you to keep regular items, but it will also make the place attractive, where you will keep it. In the niche of wooden box, boxes of this particular design will definitely take upper ranks not only because of its enchanting look, but also Read More..for its heavy usefulness. Women of your house will definitely love to keep it on the table as it is beautiful, easy to use and last but not the least it is a limited edition collection! Show Less..